Basketball legend Charles Barkley has come to the defense of hundreds of gun-owning athletes. In response to NBC host Bob Costas’ recent remarks that “If Jovan Belcher didn’t possess a gun, he and Kassandra Perkins would both be alive today,” Barkley says that guns provide a “sense of peace” and that the issue’s focus should instead be the mistreatment of women. “There’s never a reason to hit a woman, touch a woman, or obviously kill a woman,” Barkley told USA Today. “I don’t get into the gun stuff. Some guys have guns who go hunting. Where do we stop (the gun control) at? 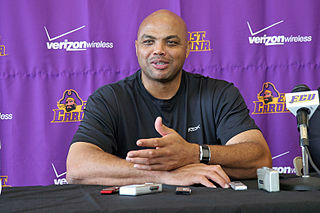 I’m not a hunter, but we can’t say people can’t have guns,” Barkley said. USA Today goes on to say Barkley will be appearing tonight in a pre-taped episode of Costas Tonight, an NBC Sports Network cable TV show, and that in the show he will also be defending athletes’ gun rights. “On the show, Barkley says he’s ‘carried a gun in my car, every day of my life since I was 21 or 22 — never had to use it,’” reports USA Today. Barkley’s remarks come days after sports commentator Bob Costas publicly indicted the NFL’s allegedly pervasive “gun culture” this past weekend during Sunday Night Football citing an article by Fox Sports columnist Jason Whitlock which blamed the deaths of Kansas City Chiefs linebacker Jovan Belcher and his girlfriend on Belcher’s possession of firearms. After fierce backlash, Costas followed up his anti-gun rant days later by appearing on MSNBC’s The Last Word with Lawrence O’Donnell where he unapologetically continued bashing the Second Amendment and virtually all gun-toting athletes. In the interview, “Costas told O’Donnell that he was in favor of ‘more comprehensive gun control legislation’ and tried to argue the point by commenting that 65 out of 80 Colts players admitted to owning guns,” we reported yesterday. Costas next incredulously asks for an “example of a professional athlete who by virtue of his having a gun took a dangerous situation and turned it around for the better – I can’t think of a single one – but sadly I can think of dozens where by virtue of having a gun a professional athlete has wound up in a tragic situation,” showing utter disregard for the several cases in which an athlete has protected himself or his family using a firearm. CNN anchor Piers Morgan also felt it necessary to chime in on the all-out assault of the Bill of Rights and the Second Amendment. According to USA Today, in Barkley’s appearance on Costas Tonight, he will pose the argument that guns provide peace of mind, “I feel a sense of peace when I have it with me, but it would take extreme circumstances for me to even touch it,” while tennis star John McEnroe will state he feels “safer” with no gun.